Are You on the Brink of a Bad Turnover? According to PSMJ research, at least in design firms, people don’t leave because of money—only about 20% cite wages as a reason for leaving and about half that give “workplace conflict” as their reason for quitting. The biggest cause? Insufficient recognition coupled with limited advancement opportunities. To ascertain your level of vulnerability to bad turnover, take the following short quiz. It will increase your awareness of the factors that can erode employee satisfaction and lead to bad turnover. Are you in a competitive labor market with lots of new job opportunities? Does your firm have a strong orientation program for new hires? Do you have a good mentoring program? Do you have good hiring practices that ensure you hire the right people for the right job? Do your employees believe they are effective in their jobs? Do employees believe they are wanted or needed by the firm? Do your employees see a clear career path and understand how to move ahead in the firm? Is the path to principal clearly understood? Is compensation data readily available to all staff so comparisons can be easily made? Are your employees dissatisfied with their pay? Is your fringe benefits program competitive? Do employees believe there is strong communication between employees and principals? Do your employees respect the management skills of their supervisors? Do employees believe they are being taken advantage of or exploited? Are employees given the training and resources to complete assignments successfully? Do you conduct regular, fair, and timely performance appraisals? Do employees believe they are not being informed of what is going on in the firm? Do employees perceive that management does not have a plan for the future? Are employees asked to act in a manner they believe is unethical? Now talk with your staff about the important issues the quiz raises. Are You Asking the Right Questions in Planning Your Firm’s Strategy? Yogi Berra once said “If you don’t know where you’re going, you might not get there.” Sometimes, though, even if you do know where your firm is going, without an effective plan, you might NOT get there anyway. plans just end up collecting dust on a shelf. The following questions should help you in preparing for your next strategic planning session. But be sure you write out the answers! Answering the questions on paper is meant to be a stimulus for thinking about the sessions and your firm’s future. Each person to be involved in the planning session should get a copy and answer all the questions. 1. What is your definition of growth? 2. What is your mental picture of what the practice should be like in three years? 3. What role will you play in your visionary practice? 4. How many people can you manage personally? 5. What effect does your ownership plan have on growth? 6. What talent will you need that is not present now in the firm? 7. Why is growth important to you? 8. What impact does your management of time have on growth? 11. How do you implement change? 12. What conflicts do you perceive between your visionary firm and the present situation? 13. Why do these conflicts exist? 14. What can you do to resolve these conflicts? 15. Define the kind of leader you are. 16. What impact does your leadership style have on growth? 17. How do your clients perceive the firm? 18. Is their perception in line with goals for your visionary firm? 19. Crystallize your thoughts into a one sentence strategic goal for the firm. Be specific. 20. Is your firm a matrix? Team? or departmental organization? 21. Describe the culture of your organization. 22. How would you characterize communications at your firm? 23. Do your people feel empowered? Why? 24. Describe how good your firm is at design. Why? The marketing role of a project team member may not be one he or she “signed on” for, but it is a requirement for professional growth. People drive projects, and marketing—done right—is about interacting with people to find out what they really need. When you do this with clients, you win their confidence—and their future projects. One of your key opportunities is to develop a “marketing attitude” among your team members. After all, your clients’ view of the firm will be shaped by their direct (and indirect) interaction with your staff and their confidence that your staff understands their goals—for this project, and for the long term. Serve the client. Let your team know that the cheapest, best way to market is to satisfy clients. Nothing goes further to promote your firm than delivering high-quality services that support your client’s larger mission. Make sure you know this mission, and let your staff know it. By delivering value—not just a building—you help the client’s business and make him or her ask for more of yours. Invite your entire team to the kickoff meeting. Include the client team, as well as all key stakeholders and subcontractors on the project—as far down the line as you can see. Although the electrical sub may not come in until later in the project, include him now. Get everyone talking to discover the project’s true scope—the one that will work on all counts. In this meeting, your team can become creatively and instrumentally involved with your client’s t e a m — e s t ablish authentic bonds with them. Thus, you begin longstanding relationships. Educate staff about the client’s business. The more your staff understands the client, the better they understand the project. Subscribe to client periodicals, e-magazines, and digital journals so your staff can read what your clients read. Go to the conferences they go to. Invite clients in to give staff lunchtime seminars about their business. Clients love to talk about their work. Keep staff updated on client comments and concerns. Copy your team on client meeting minutes. Ask for their input in resolving project issues. Let your team know how the client is feeling about the project. Let everyone take part in client interaction. Each time you attend a client meeting, bring along a different team member—one week a CAD tech, another week a structural engineer, etc. This will not only keep your team involved; it will also keep you “honest.” Including qualified team members in client activities engages and empowers the staff to build success, for themselves and the firm. The demands placed on today's project managers are growing exponentially. To remain on the cutting edge, or even maintain your competitiveness, you've got to learn new concepts and master both new and traditional management techniques. Why? Today's professional service firm has moved into the mainstream of business. The market forces that apply to Apple and Wal-Mart now apply to you. The seemingly protected world in which professional design and environmental services once worked is gone, and professional ethics and technical competence will not protect you from cutthroat competition. It's time to move on and raise your personal bar to a new height. Best time to call a client……………..
Best time to run a meeting…………..
Best way to control meetings………..
Best way to avoid conflict…………..
Marketri, LLC (Philadelphia, PA) is a full-service provider of customized, results-driven marketing solutions for small to mid-sized B2B companies in the A/E/C sector. Marketri’s president, Debra Andrews, sat with A/E Marketing Journal to discuss how to best market your firm in today’s changing, increasingly mobile environment. 1) You state that the A/E/C industry has been relatively slow to embrace marketing as a strategic weapon. Why do you think this is so? From my experience in working with A/E/C firms, they tend to be very sales and business development driven and not focused on marketing. I believe they feel that personal relationships and having the lowest bid drives new business, and that marketing doesn't play a role in either. This may have been the case before the era of modern marketing, but now potential purchasers can read authentically helpful content from your competition. They can view their experience online, check out their recommendations and endorsements on LinkedIn, view impressive photography on Pinterest and more. What some firms don't realize is that their marketing savvy competitors have entered the "sales cycle" through effective marketing without having that personal relationship in place. 2) Why is technical knowledge so necessary for effective communications in the A/E/C industry? Within the B2B marketplace, in which A/E/C firms participate, sales of products and services are complex, meaning the price point and the consequences of bad purchases are higher. The ability and willingness of A/E/C firms to share their technical knowledge through marketing communications is extremely important to gain the trust and confidence of a potential buyer. 3) What are some of the most successful marketing campaigns you have run for A/E/C companies? Marketri worked with a civil engineering firm to help it become the area's leading resource on sustainability ("GREEN"). Through inbound tactics (including blogging) and outbound programs, consisting of article placements, speaking opportunities and hosting a "Sustainability Summit," we were able to successfully brand the firm in this area. Debra Andrews is founder and president of Marketri, LLC. With more than 20 years of marketing and business development experience, she ensures that clients have successful, proactive, targeted marketing strategies to reach and exceed their marketing goals. Debra earned an MBA in marketing and a B.S. in finance from the University of Maryland at College Park. She is former chair of the Professional Marketing Forum and the founder and past member of the B2B Professional Alliance. In the past, A/E firms rarely would go through an annual corporate budgeting exercise to plan the upcoming year's financial actions. All firms should prepare an annual budget and use it as a management tool to “steer the ship” in the desired direction. The budget process is also an excellent way to foster teamwork and to obtain a “buy‑in” mentality of the firm's actions and direction. Because most firms focus on maximizing their billable hours, the strategic planning tasks tend to be relegated to only a few people. Although this idea makes sense, it leaves some staff members feeling “left out” of the business process. A well-planned budget process involves everyone and provides valuable input, thus improving overall morale. The budget also helps to set accountability for department heads, functional areas and other partners. It's hard effectively to hold people to a budget if they don't buy into its creation. The process helps achieve consensus and is an excellent way of educating other members to the firm's business aspects and goals. The budget process should be the responsibility of the financial partner and the “controller.” If the firm is large enough, a committee consisting of the financial partner, controller, bookkeeper and one other partner or associate should be established. Selecting an additional partner or associate allows for additional input from a different perspective. Ideally, this other partner/ associate won’t be a senior‑level person. Begin the process during the 10th month of the fiscal year, and plan on completing prior to the year's end (requires utilizing actual and projected data for the current year). Establish a committee and set up responsibilities. Prepare a timetable with tight, reasonable deadlines. Allow the participants time in their schedules for the process. Don’t expect them to do everything in the evening or on weekends. Prepare input forms for department heads, personnel responsible for functional areas and all partners/principals. Hold a meeting to explain the process, forms and the timetable. Make the financial officer available for “coaching” or assisting individuals as they work through the process. The managing partner should have adequate input into the process and should review responsibilities. Present the final budget to owners for ratification. Now more than ever before, your firm vision must be clear and enduring. Before outlining your strategic plan, you must decide who you are and where you want to be in 5, 10, even 15 years. Many A/E firms operate without such clear vision. It’s as if they just happened to be in business. Writing down your vision starts you on the journey. Make your vision describe the work you’d like to deliver without regard to financial considerations — the essence of what you want your firm to be. Make the vision statement unique, succinct, and tailored to the services your firm provides. 1. Sit in a closed room, and fill a page with your ideas for your firm’s vision. Open the sluice gates; let the ideas rush out, and write them all down. Editing has no place here. Every idea has value. 2. Put away the paper, and take it out in a couple of days, or even a week. Take a fresh look. More ideas will surface. Write them down. Other ideas will coalesce. Keep your larger, long-term goal in mind. The ideas will begin to take shape. 3. From your collected and connected ideas, let a sentence emerge. That sentence will voice the one underlying, unifying theme — what all of your ideas add up to. It will be your vision. 4. Run the sentence by your key people. Together, modify it until you all can stand behind it. 5. Print your vision in a graphically compelling format. Then frame it — and don’t be cheap on the frame. 6. Hang the vision statement where everyone can see it. The following material is for informational purposes only. 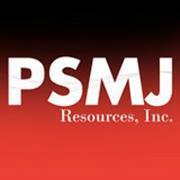 Before taking action that could have legal or other important consequences, PSMJ Resources suggests you speak with a qualified professional who can provide guidance that considers your own unique circumstances. quotes from several firms and pick the low hourly rate as the winner. Clients who have “purchasing agents” in control of selection, or who must approve the decision made by a selection group, are always likely to base selection on perceived prices for services. So how can you avoid playing the cut-rate game? First, recognize that clients who use price as the sole selection criteria cannot be converted into “relationship” clients. They will not be open to mutually supportive working arrangements. Second, realize that you can’t possibly be a winner every time in competitions like these. Some other firm will always quote lower; there are just too many firms out there. you have not decided to avoid responding altogether)? The overall goal is to make your proposed prices look low, while not compromising your basic pricing. • Make your price (or rates) dependent upon being paid 50 percent of the fee up front as a retainer. • Make the payment terms 10 days—rather than 30—from date of invoice (with a high late payment penalty). • Eliminate any redesign that would go over construction budget bids. State that this will be an additional service. • Add a higher percentage markup to subs and reimbursable. • Have all project meetings at your office, thus eliminating local travel time. Include any travel time as an additional service. • If you prepare zoning permitting applications, do it as an additional service. • Clearly state that you will use “proven design solutions,” and then reuse as much as possible from prior projects. Studies and new solutions will be additional services. • Flatten your hourly rates by lowering the principal rate and raising staff rates. Clients who are price-sensitive often focus only on the highest rates. What happens when the client calls and says, “You have the job, but we can’t pay a retainer”? The secret is to be prepared with pricing options. Be ready to say, “We can skip the retainer, but the fee increases by 2 percent.” Even better, if your proposal offers the choice of either a 50 percent retainer or a 2 percent additional fee, you can refer the client to that part of your proposal. A key to this approach is to include a standard “terms and conditions” page in your proposal, and then send it along with your price quote. Think along the lines of airline tickets or rental car agreements that print limitations on the back (although we do not necessarily recommend using 4-point type). Does this sound like we are advocating you act like a contractor who relies on change orders? Quite frankly—yes. In low-bid situations, if you don’t strictly define what your price includes, and then charge for services beyond that price, you sacrifice profit. This applies to all businesses, not just A/E/C firms. Your other choice is simply to say “no” when asked to bid in a price-only competition. If you don’t want to limit your services or quality, this may be the more profitable way to go. Sales teams in every type of business are using CRM systems to increase effectiveness and transparency across their companies. CRM systems such as Salesforce make it easy for companies to track potential and past clients and know who has worked with them before. Within a client’s contact page there is a wealth of information that can be tied to each contact; the information can range from where the client works to the client’s IP address. The ability to analyze and effectively use big data on all of the people your company’s in contact with can be very powerful, and when used correctly, can be a huge asset to your business. Such as asset, in fact, that A/E firms that are lagging behind need to look at the success that CRM systems are bringing to sales teams the world over and ask themselves: "Why aren't we utilizing CRM Systems yet?" While engineers and architects are not sales people, they can use what CRM systems have to offer to keep track of projects and contacts and use the data to win more work. A big way that CRMs change the way companies work is simply by improving communication through transparency. For example, when organizing and tracking contacts, it is typically done on a per person basis, or at best, on a per team basis. One person may use their Outlook calendar to keep track of their calendars and projects whereas the next person may keep track of everything in Excel. Even when people are sharing this type of data with each other it is hard to keep it up-to-date because everyone is not on the same calendar, spreadsheet, etc. CRM systems bring all of the contact tracking and managing into one place, giving users the ability to track any contact, while empowering project managers to track the sales/proposal process and delegate the management of each contact. These simple features make life easier for everyone and open up a whole new way for companies to interact internally that is sure to increase productivity—and that’s just scratching the surface. After launching your new CRM system you will wonder how you ever effectively (or ineffectively) ran your business without one. Andrew J. Driscoll is the Marketing Analyst at PSMJ Resources, Inc. and an administrator for PSMJ's Marketing Automation and CRM software. Contact him at adriscoll@psmj.com.